Our Daily Challenge - Sep 2, 2012 - "Begins with O"
The Monthly Scavenger Hunt September 2012 - "Woolgathering"
Looks like this week was a "need it" week. 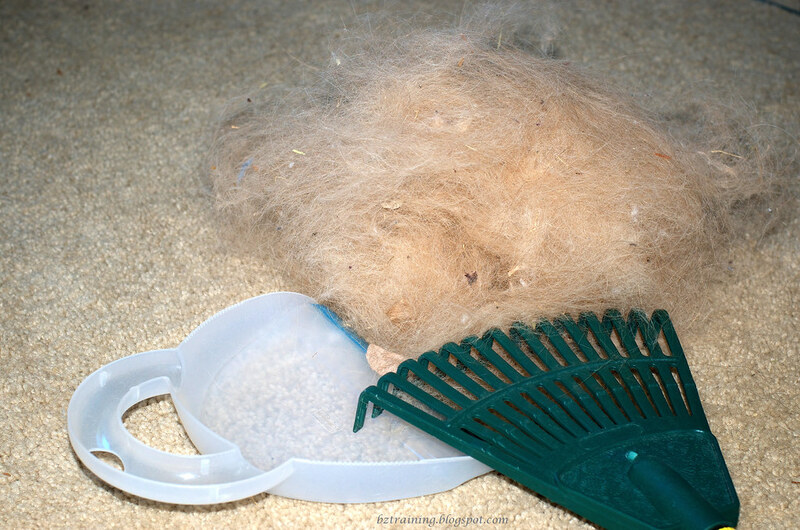 Believe it nor not, this is ALL from Henry (Zachary doesn't carry much coat, and barely sheds even during shedding season) and ALL shed in just last 7 days. Monday Mischief? 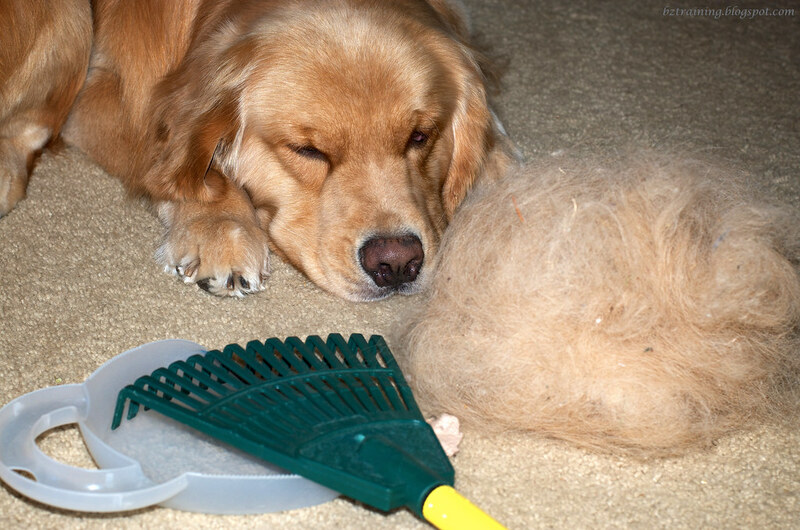 Blame the dog hair wool! Oh gosh, that is just like our house! It's amazing how much they can blow out! Just trying to get around and visit all my friends. BOL! 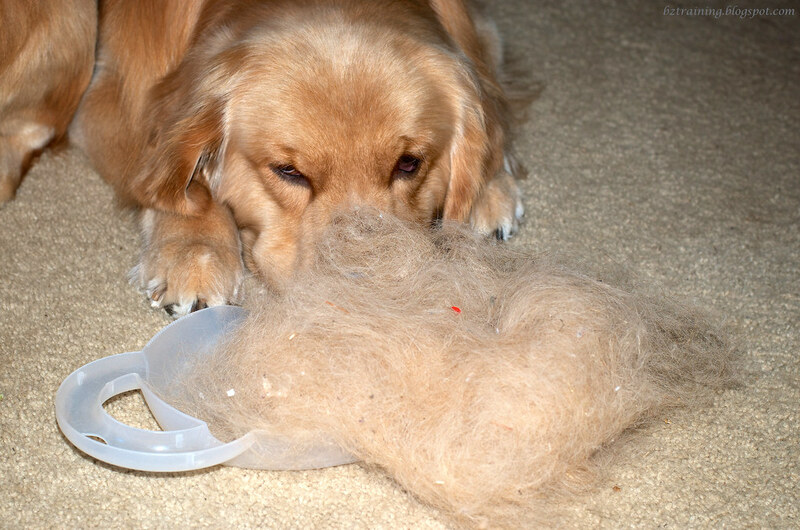 In the spring my Human gets enough hair out of me to make a couple of playmates for me. Hope y'all are havin' a great day! What a good idea to RAKE the carpet instead of vacuum. That would be much quieter. Wish our daddy would do that instead! I do a 'moon walk' approach to hair removal when I don't want to get out the monster machine (vacuum). Amazing how much hair comes out!